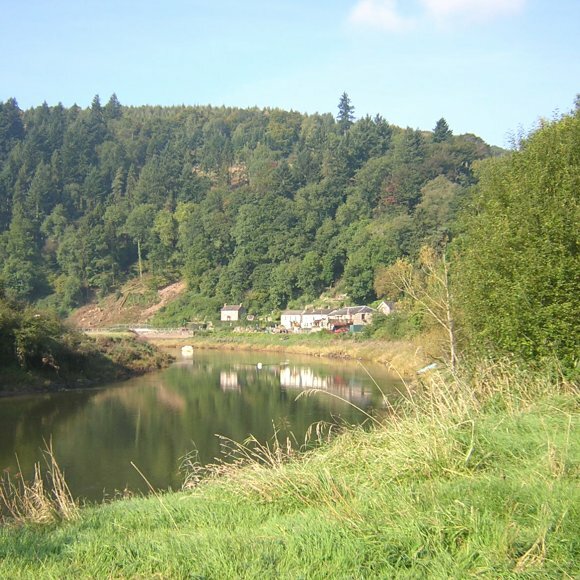 A 17th Century former farmhouse set just 50 yards from the banks of the River Wye, less than a mile from historic Tintern Abbey. It has been a guesthouse for some years with a loyal following. Now with new owners, Marta and Roger Brook, it is a proper restaurant as well. Open to non-residents as well as those staying with us. Restaurant open for dinner Wednesday to Saturday. Open from 7.00pm. Last orders: 8.30pm. Other days and times by arrangement. Eight comfortable guest rooms, doubles and twins. £90 per night, £75 as single occupancy. Option for third adult or child sharing a room. Special rates for three or more nights. Price includes a full cooked breakfast. This is our first year, but we’ve already had some critical praise. Notably, Michelin have noticed us and given us four stars. 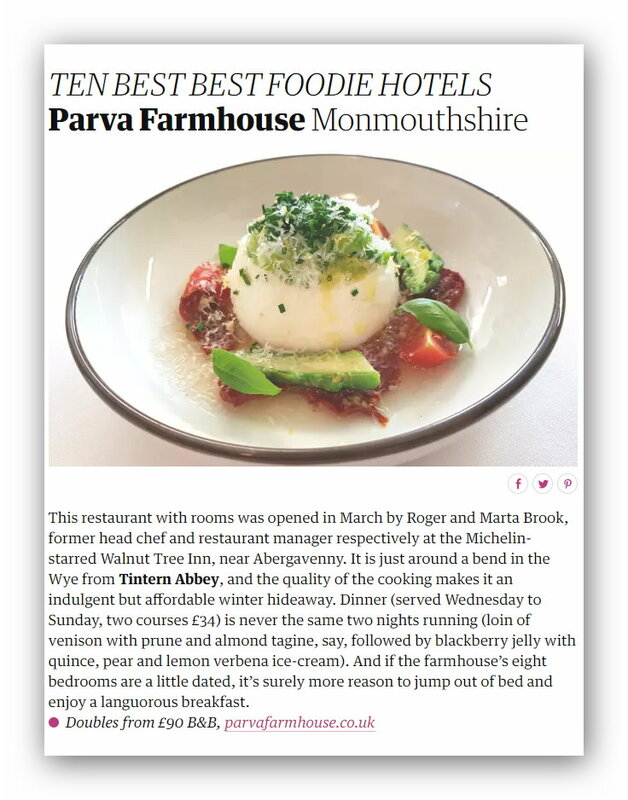 And The Guardian listed us as one of their “50 of the best hotels and B&Bs in the UK”. Shown below, or see the original 3 November article. Can we contact you occasionally? Thank you. You will soon receive a confirmation email.